Judith Nies adds discipline and outrage to the history of the water and power grab from American Indian lands. The shady provenance of water and power is a familiar story in the West, recounted in works as varied as “Chinatown” and “City of Quartz.” Judith Nies’ sweeping new history of water, energy and thievery in the shaping of Las Vegas and the desert Southwest has an undeniable noir feel – and an unlikely assortment of characters. Take, for example, the actor Robert Redford, famous for Sundance and as a supporter of assorted liberal causes. In “Unreal City: Las Vegas, Black Mesa, and the Fate of the West,” the real-life man plays the role of straw man alongside Sen. Barry Goldwater, executives from the Bechtel Corp., and assorted other financiers and politicos. 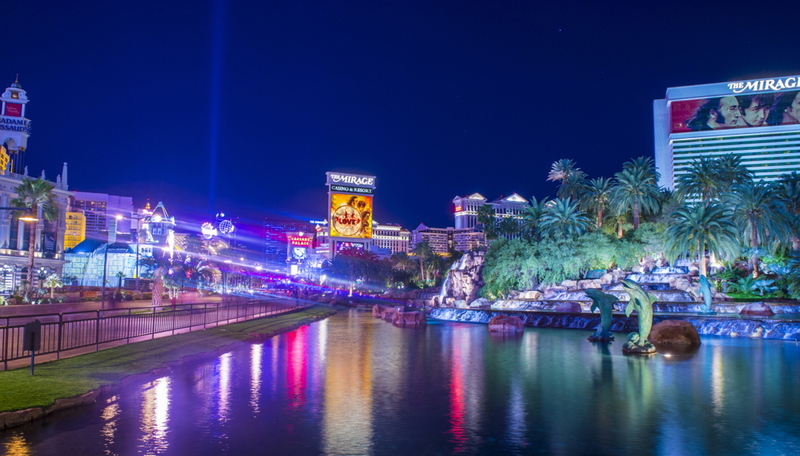 Shutterstock photo A view of the Las Vegas strip. “Unreal City” describes the behind-the-scenes transactions that helped light up western cities. 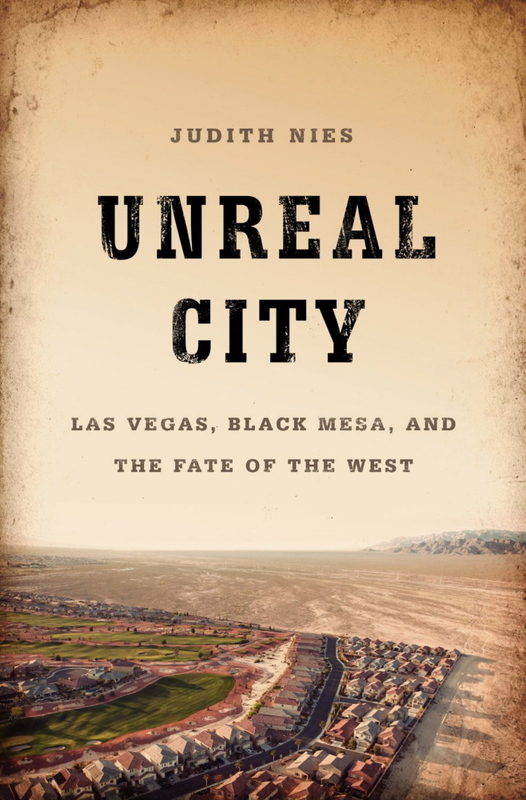 “Unreal City: Las Vegas, Black Mesa, and the Fate of the West.” By Judith Nies. Nation Books. 320- pages. $25.99. The corporate interests were pitting one group of American Indians (the Hopi) against another (the Navajo) in the name of coal mining and keeping the lights on in Arizona and Nevada cities while ostensibly celebrating Hopi culture (with Redford) at a Phoenix reception, according to the book. Nies, a former congressional staffer and author of three works of memoir and history, quickly realizes the invitees are linked to a series of massive, lucrative and controversial energy and water projects. These projects were made possible by agreements that have chased the Navajo off their land. Nies’ book is about the people whose behind-the-scenes transactions helped create the infrastructure “that would fuel the next thirty years of metastasizing growth in the West.” Las Vegas and Los Angeles, Phoenix and Tucson, all grew thanks to contracts signed on Indian reservations, and water siphoned from primordial aquifers. “Unreal City,” however, revolves around an obscure, “empty quarter” of desert most Westerners have never heard of: the Black Mesa coal fields, which are on Native American lands precious to the Hopi and the Navajos. Indian coal, transported by slurry water, fed the power plants that lighted up the West. Like many a noir novel, the nonfiction “Unreal City” has a somewhat convoluted beginning, as Nies untangles an incredibly complex history of economic growth and ecological destruction. But the story quickly gathers momentum as Nies introduces us to Eastern mobsters, construction barons, Mormon pioneers and their descendants, and a Utah-based attorney whom she describes as a master at manipulating Indian law. We see Las Vegas grow from a sleepy rail depot and learn about the fate of a treasure of groundwater built up in southern Nevada and northern Arizona since the Ice Age. Often “Unreal City” touches on themes that have been covered in other books, such as John Nichols’ epic New Mexico trilogy of novels. What Nies brings to this familiar story is a sense of journalistic discipline. And outrage. Describing how energy companies won leases to extract Indian coal, using billions of gallons of Indian groundwater to transport the coal in slurry pipes, Nies writes that the leases “violated every guideline the Department of the Interior had set up for leasing on public lands,” offering a royalty rate to the tribes that was outrageously low. The deals were made possible thanks to the work of attorney John Boyden, a Utah Mormon who sees opportunity. Boyden represents the Hopi, but that tribe in reality consists of many nations that are like rival city states, so Boyden works to create a leadership that will be recognized by the federal government. What the Hopi don’t know is that the attorney is simultaneously helping the companies that are buying the tribe’s mineral wealth. “Time sheets and billing correspondence later confirmed that John Boyden was working for Peabody Coal and Kennecott Copper at the same time he was working for the Hopi,” Nies writes. What’s more, the legal resource taking is made possible thanks to the long history by which the Hopi and Navajo have been dispossessed and rounded up. The dispute between the Navajo and the Hopi, we learn, is not an ancestral war between tribes but rather a more recent conflict caused by the federal government’s cruel treatment of both groups. Nies sticks with the story – the bulk of which takes place in the 1970s and ’80s – up to the present, as the company that’s been strip mining Black Mesa is sold to a company controlled by a British corporate takeover specialist, Lord James Hanson. At a 1996 stockholders’ meeting in London, Hanson is surprised by the arrival of a delegation of Hopi and Navajo Indians who proceed to describe the effects of coal mining on their desert home: polluted water holes that kill their sheep, skyrocketing asthma rates caused by coal dust, and land stripped of vegetation that will never grow back thanks to desertification. Nies’ great triumph is to emphatically bring the “bloody nuisance” of the story behind the growth of the West to the public eye. Her book is essential reading for those seeking to understand the largely hidden history and the forgotten deals and injustices that keep Las Vegas and Los Angeles glimmering.